Back for another season – 2018 Curling Program starts October 22nd! The Little Rocks Curling program will offer 6 weeks of free curling lessons. Program registration is free. Come to the We R CORE Desk during CORE Kids Program to sign up. Participants will check in at Mission Services (CORE Kids Desk) and then travel to ad from the curling club with our staff and volunteers. In partnership with the Victoria Curling Club, Rotarians and volunteers teach and instruct participants to learn how to Curl. The great Canadian sport is a fun way to get active. 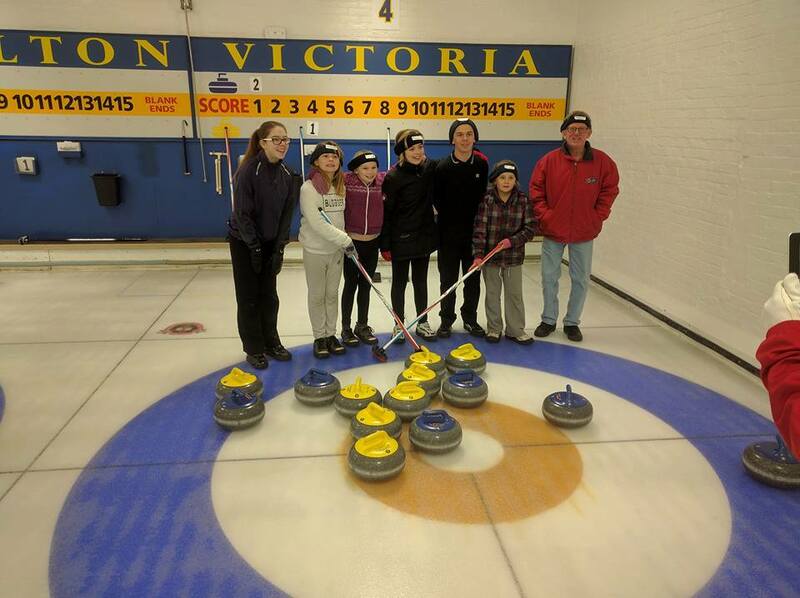 Participants register with CORE Kids Programs, curl weekly at the the Victoria Curling Club and will have an end of season party. The Program starts October 22nd, so register now at CORE Kids –After the Bell Program.